The tri-band G-4500 series provided by ICP DAS are M2M (Machine to Machine) mini programmable controller are widely praised and loved in the market. 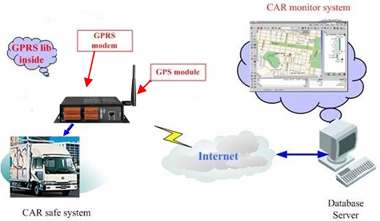 They are widely applied in various applications like hydrographic monitoring, intelligent power, flow meter report system and GPS car-tracking system. ICP DAS announces the Quad-band G-4500 series to meet the requirements of more customers. Most GSM networks operate in the 900 MHz or 1800 MHz bands. Some countries in the Americas (including Canada and the United States) use the 850 MHz and 1900 MHz bands because the 900 and 1800 MHz frequency bands were already allocated. 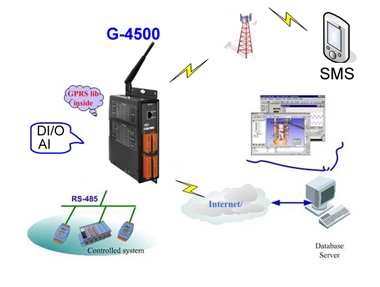 However, Quad-band G-4500-SIM340 series is supporting GSM 850/900/1800/1900 MHz more than tri-band G-4500-SIM300 series. 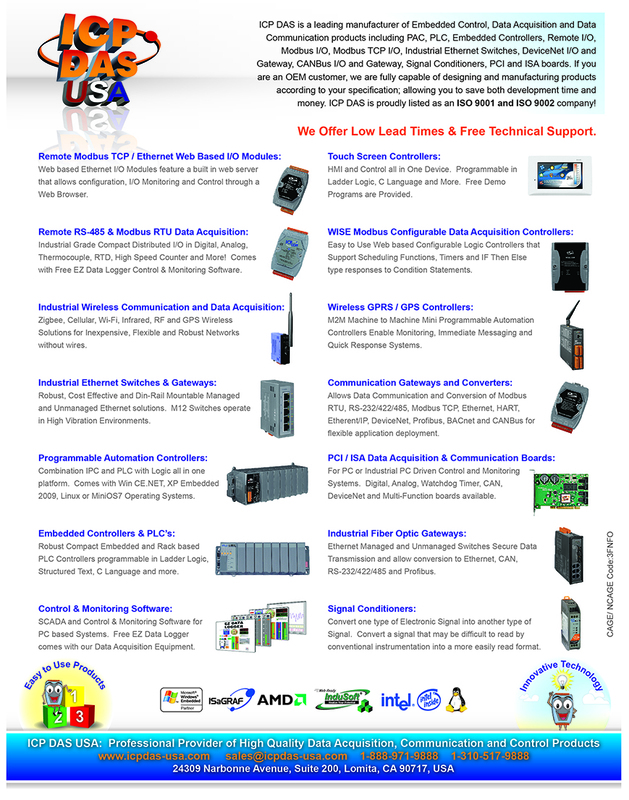 They can be achieved that roam the world's GSM system. In addition, ICP DAS also introduces the Quad-band G-4500 Series of plastic casing. 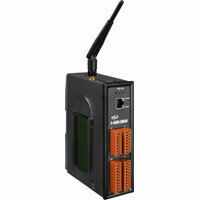 The G-4500-SIM340 series feature GPRS/GSM module, Ethernet interface, optional GPS module, 3 digital inputs, 3 digital outputs, 8 analog inputs, 2 RS-232 and 1 RS-485 port. That can be used in various application fields to transfer data by GPRS, SMS, Ethernet or serial bus. 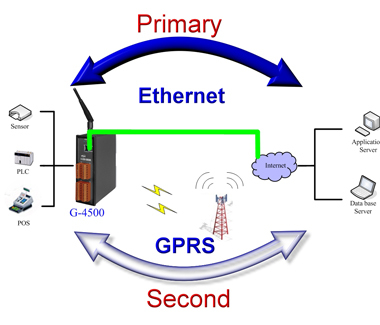 In traditional application, users need a master controller to integrate a GPRS/GSM modem with developing GPRS or SMS programs into the host. That would waste much time to integrate the various communication interfaces. Now, we have G-4500 series to solve the hardware integration problems with easy-to-used libraries. The G-4500 series built-in MiniOS7 provide the same development environment with I-7188/I-7186 series. It is more easy for I-7188/I-7186 users to apply the G-4500 series. 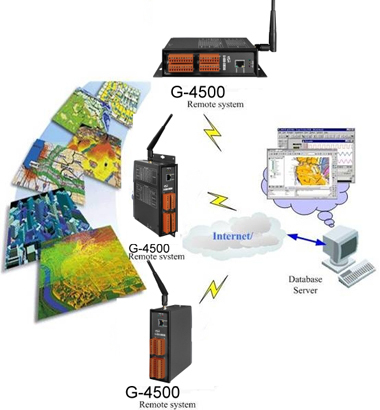 By using G-4500 series, a machine can be installed virtually anywhere but still be connected to a support centre to signal performance or need for service. M2M data will improve the service quality and reduce operating costs. 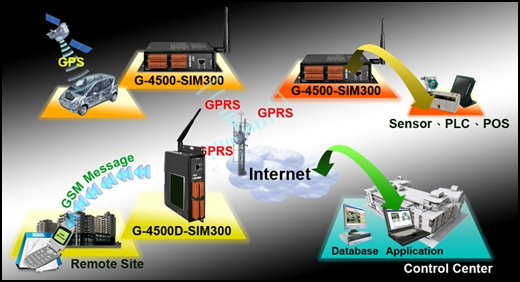 Many application areas can be improved by using GD-4500-SIM340. Load Voltage +30 VDC max. Load Current 100 mA max.